These pyjamas will make a cosy addition to their nightwear collection. 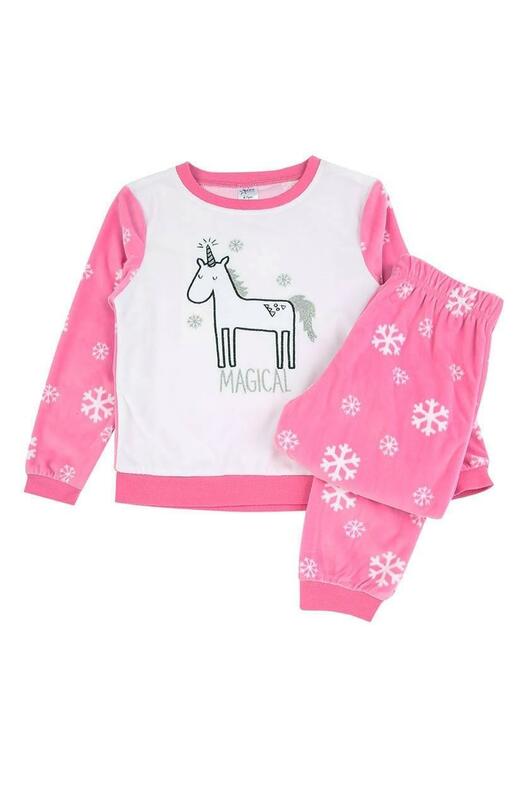 Containing a long sleeve 'Magical' unicorn slogan top and matching bottoms, this fleecy set is perfect for bedtime. Very snuggly pyjamas.Very soft material & the unicorn motif was lovely. Nice quality, soft fabric, cosy pyjamas. Very soft and beautiful, size is just right.